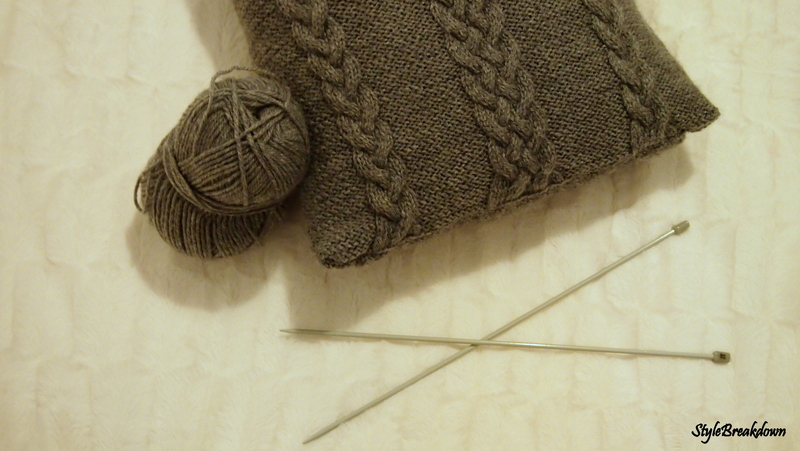 Today I have a new home decor /DIY post for you and this time is all about knitting. Maybe not the coolest hobby in the world , still when you can get adorable winter accessories (scarfs, hats ) or home decor (throw pillows or blankets) from it why not give it a try. And fall is the perfect season to pick it up. Having said all that I never really got into it therefore I have to confess that the credit for this DIY needs to go to my sister, she is the one that did the actual knitting although I was extremely particular about the design . 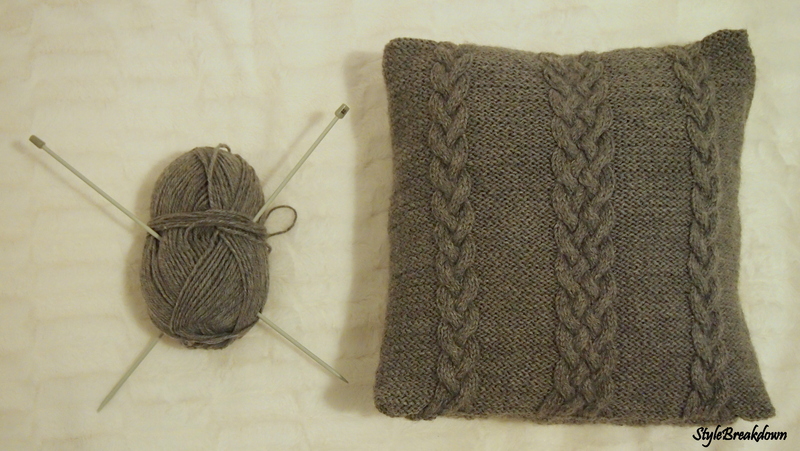 My brief was “grandpa`s sweater chic in a throw pillow” that is why we went for the classic cable knit patterns on the front and on the back a weave pattern which will also have covered buttons. Now after you actually learned to knit or if you are like me found someone else to do it ,all you need is the yarn , which is extremely cheep 5- 10$, and to choose your pattern . For the pattern there are so many websites out in the interweabes full of different patterns as well as the whole guide of how to achieve it . You are also going to need the filler for the pillow, these you can get at any interior design store , or what I did is use an old throw pillow that didn`t go with my room anymore. Tin Can Knits You can also think bigger and try to make your own throw blanket , either with a similar pattern or make multiple squares of different patterns in different yarns and stitch them together to get a shabby chic knited quilt . 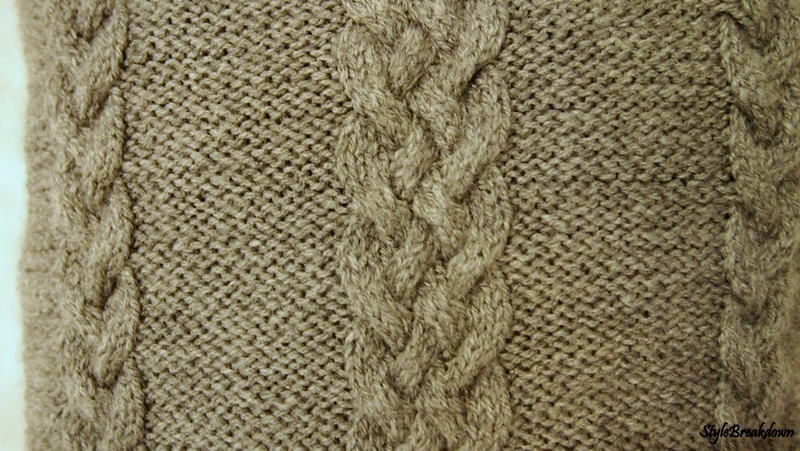 Close up of the front pattern. A look at the actual cover without the pillow fill. Front Back If you were to buy one of these beauties in stores it would cost you anywhere from 30$ to over 100$ so why not give it a try! Have I convinced you to try this new hobby ? 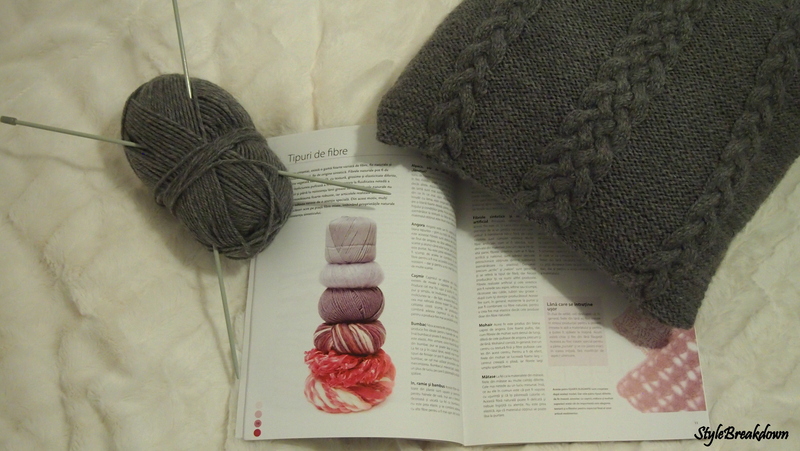 Knitting and crochet- totally the coolest hobby, my school even has a knitting class for fashion majors! Don’t rule out ” cool” just yet. 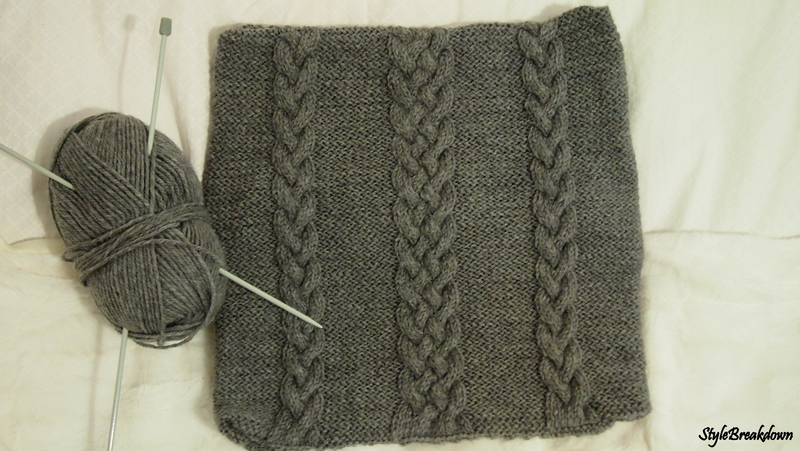 I love to knit ( and crochet) . I wish I could knit! That is so cute! 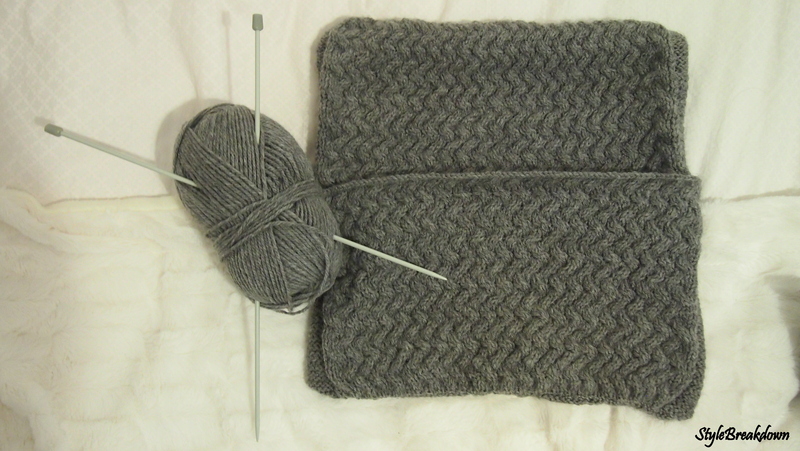 Knitting is a real art form, I have tried it and it is really difficult. Still a work in progress. Thanks Kitty for taking the time to leave me a comment, so glad you liked it . P.S. Huge H&M fan here too!